For vertigo sufferers, that feeling that we all get when stepping off a whirling amusement park ride or playing silly yard games like “dizzy bat” is magnified, can come on without much warning and can last for several hours. Vertigo is a false sense of motion that can either feel as if a person is spinning when they are in fact still, or that they are standing still and their surroundings are spinning around them. Vertigo is not a standalone condition, but rather a symptom of what can be many other underlying diseases or illnesses. To find relief, it is necessary to identify what’s causing it and care for it properly. 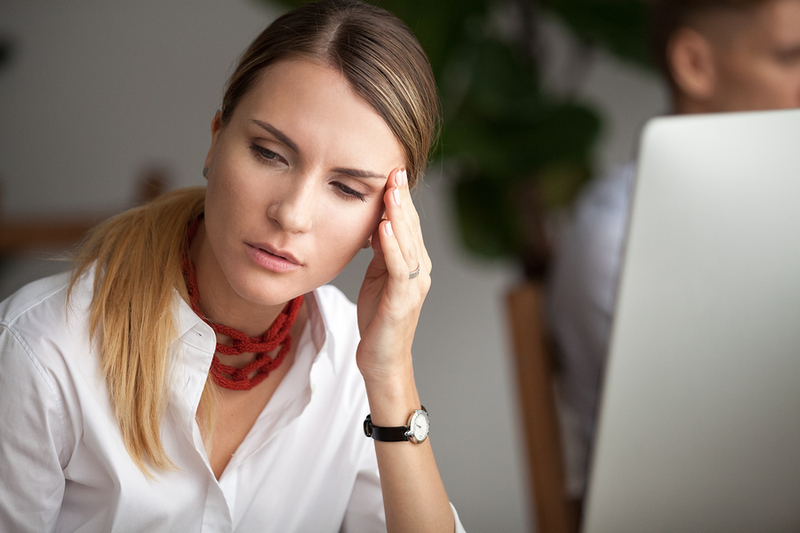 Migraines and vertigo can come hand in hand – as if experiencing a migraine attack isn’t bad enough on its own, some migraine sufferers have what are called vestibular migraines. These episodes come along with vertigo that can last from several minutes to hours. All of the classic migraine symptoms may also be present, including extreme sensitivity to light, sound, and smell, as well as nausea and vomiting. If you are having vertigo and also suffer from migraines, you may have vestibular migraines. Being dizzy and having vertigo are different – dizziness is a general term that describes the feeling of being faint or lightheaded. Dizziness can have its origins from many places, including motion sickness, dehydration, or standing up too quickly. While it’s true that vertigo can feel like dizziness, it’s the false sensation of spinning, tilting, swaying, or being pulled to one side that distinguishes one from another. Vertigo can also be much more severe. People experiencing a true vertigo episode often feel nauseated and may even vomit. Women are more likely to experience vertigo – the exact reasons why women are more prone to developing vertigo than men aren’t clear. Migraines are also more common in women, and the two conditions may be related for many people. Other research suggests that women are more susceptible to age-related bone loss and vitamin D deficiency which can change the way your body metabolizes calcium, the major component of the crystals embedded within your inner ear that help to sense balance. Vertigo can cause severe anxiety – many people who experience the debilitating effects of vertigo can become very anxious and fearful, not knowing when the next attack will occur. It isn’t uncommon for vertigo sufferers to have panic attacks or suffer from depression since their condition might prevent them from working, caring for themselves and their families, and having a normal social life. Vertigo can have peripheral or central origins – vertigo is classified by where the problem starts. Peripheral vertigo is by far more common and is caused by problems within the vestibular system or inner ear. Causes of peripheral vertigo include BPPV, Meniere’s disease, and labyrinthitis. Central vertigo refers to problems within the central nervous system that lead to vertigo. Migraines, MS (multiple sclerosis), tumors, and stroke can all cause central vertigo. Your vertigo might be caused by a medication – vertigo can be a side-effect related to certain medications. Some of the most common drug categories that can cause vertigo include blood pressure medications, antidepressants, anticonvulsants, and muscle relaxants. If you suspect that your medication might be contributing to your vertigo, then speak with your medical doctor about the side-effects you’re experiencing and possible alternatives. If you live with vertigo, that usually means living with the fear that the next attack might be right around the corner. 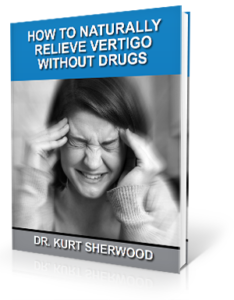 Vertigo medications and therapies are effective for some, but unfortunately, don’t yield the long-term solution most people are looking for. We’d like to take a moment to introduce you to a natural way of caring for vertigo and its associated conditions that has been helping many people to achieve lasting relief. Upper cervical chiropractic care is a subspecialty within the chiropractic profession. There are a growing number of case studies that show great promise about the effectiveness of upper cervical care for vertigo patients. The connection (and the reason why we can achieve such positive results) lies in the upper part of the neck where it forms a junction with the base of the skull. This area is called the upper cervical spine and it’s made up of two small vertebrae that protect the brainstem. When it comes to vestibular disorders and vertigo, the brainstem is the main relay station for signals that control your body’s sense of balance. When your senses (your eyesight, arm and leg position, and head position) gather information from your environment, they are sent as signals over nerves to the brainstem which then sorts those signals and tells the body how to respond appropriately to maintain your sense of balance. If one of the vertebrae that protect the brainstem is misaligned, it can interfere with this normal process and lead to the development of vertigo. Upper cervical chiropractic care gently and precisely realigns the upper cervical spine so that your body’s normal communication system can function as intended. Precise measurements are taken for each patient, allowing us to build the perfect adjustment for every individual under our care. Because adjustments are so specific, they can hold in place for longer periods of time, giving your body the time it needs to heal naturally. If you are living with the anxiety of not knowing when the next vertigo attack may crop up, contact us for more information and to schedule a complimentary consultation to see how we can help.